Despite knowing that we should wear sunscreen every day, most of us don’t for a very good reason: it’s sticky. And gloopy. And gross. And as for reapplication… is anyone really going to slather on another layer of sunscreen over foundation? Exactly. Thankfully, there are alternatives. The new powder sunscreens – lightweight mineral blends that provide chemical-free broad spectrum protection – are the ultimate in summer salvation. They dust on invisibly over makeup while absorbing excess oil, leaving a smooth finish. Powder sunscreens are also easy to apply and feel absolutely weightless. Plus, they work instantly – you don’t have to wait 30 minutes before stepping out into the sun. Are they effective, you ask? I have fair skin that blushes bright red within 15 minutes of soaking in the sunlight. Yet, every time I use a powder sunscreen, my skin remains pearly white. And since the active ingredients in a mineral powder won’t break down in a hot car as quickly as liquid formulas, you can safely keep one stashed in the glove compartment. And it’s something you can throw in your bag without fear of spilling because of the brush or sponge mechanisms. Reapplying just got really, really easy. With one caveat: powder sunscreen is not so great around water. So when you hit the beach, stick to the slimy stuff. But for everyday wear, try the powder. You won’t look back. Yes, this is definitely a splurge product but I love it for a number of reasons. Firstly, Protection Naturelle combines a lightweight, flaw-minimizing powder with a high value, natural SPF AND lauroyl lysine, a naturally occurring amino acid that conditions the skin. Plus, it’s innovative mineral powders naturally absorb excess surface oil without drying the skin, thereby doing double duty as a finishing powder that simply melts into the skin. The product is completely invisible and doesn’t affect the way my makeup looks underneath. The (refillable) tube with the built-in brush is travel-friendly and ideal on the go – I’ve come to rely on it for quick touch-ups through the day. If there is one drawback, it’s that the Chantecaille built-in brush is definitely not in the same league as any of my favorite Kabukis’. Still, the quality of the powder and the convenience are unbeatable, so Chantecaille Protection Naturelle SPF 46+++ Loose Powder Sunscreen is my constant companion these days. This one’s my go-to budget powder sunscreen option. It’s got the perfect amount of color to let me skip tinted moisturizers and foundation during the daytime. Plus, the just-opaque-enough coverage level reduces the appearance of redness, imperfections, blemishes and visible pores. However, it’s a tad difficult to blend – especially on the bridge of the nose, for some weird reason. Also, while it’s superb at sopping up excess oil from greasy skin, those with dry complexions will need to up the hydration as it will parch the skin further. 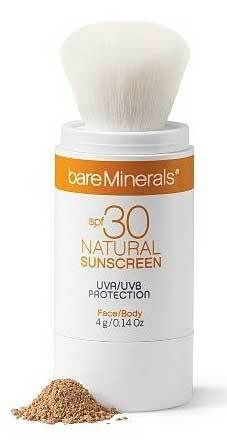 So, in short, if your skin is oily and you have the time/patience to properly buff it in, the Bare Minerals SPF30 Natural Powder Sunscreen is a superb option. Colorescience was one of the first brands to bring out powder sunscreens and they have a great lineup. There are multiple shades – including all clear (no color), perfectly clear (hint of color) and almost clear (a bit deeper color). You can even choose to have a little sparkle, if that fits your personality. Personally, I always opt for the shimmer because that lets me skip the illuminator and highlighter. Plus, you can pick between a self-dispensing brush, a shaker (sprinkle the powder and apply with a puff) or a roller ball for even application. The powder itself is lightweight and can easily double up as a sheer base or be called upon to set your makeup, while simultaneously tackling greasy skin or shiny spots. Peter Thomas Roth is the one I bring out when my skin is feeling particularly sensitive or acne-prone. The formula is pretty light and it totally kills the shine, making it perfect for sweaty afternoons. There is also a good choice of colors – from tinted, which helps even out the complexion to sheer, which is simply for sun protection. The only problem? Some people find the brush to be a bit rougher than natural bristles, so try it out before buying. 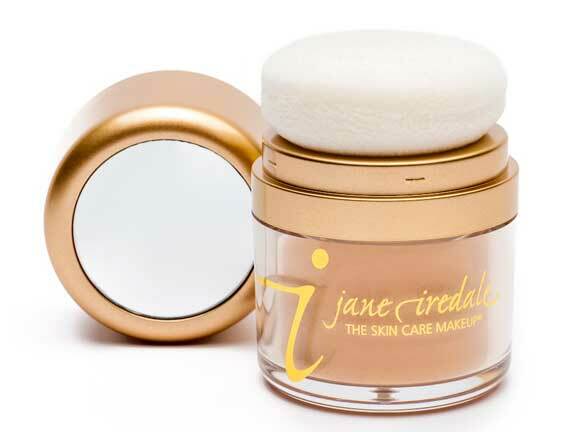 Jane Iredale has a puff-like applicator and in-built mirror that make applying on-the-go super-easy. The label says it’s best used on moisturized skin, so I put it on about 20 minutes after applying my moisturizer. It goes on cleanly and doesn’t clog my pores. However, there are only 2 color options: Translucent and Tan. And since “tan” can mean different things to different people, either try out the product before you buy or stick to Translucent. This one is actually more foundation than sunscreen. The SPF15 means its sun protection is rather limited and you will have to keep touching up every couple of hours. However, it gives superb coverage – almost like a full fledged foundation – that’s perfect for disguising skin imperfections. Plus, the puff applicator simply melts the product into your skin. 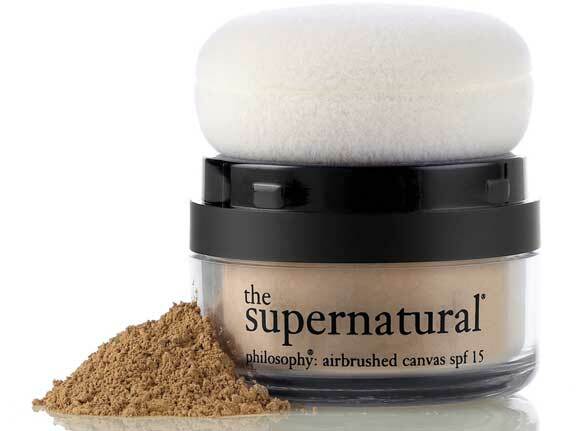 And there are 7 colors to choose from, which makes Supernatural seriously versatile. 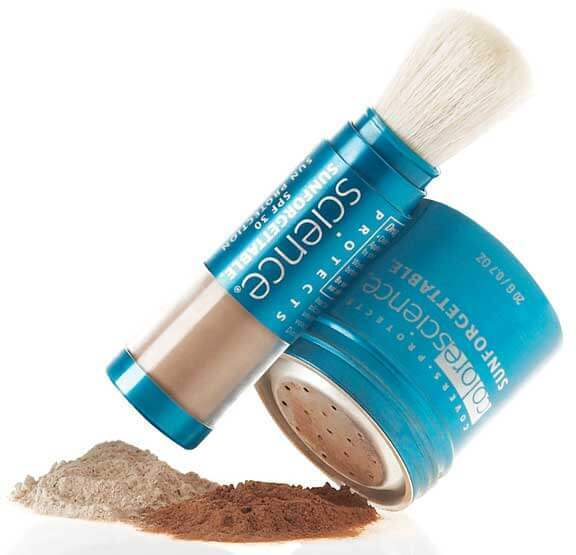 While this loose mineral powder is great for broad spectrum sun protection, the high amount (45%) of titanium dioxide and zinc oxide make it exceptionally drying and difficult to blend. And though the cylindrical packaging seems ideal for on-the-go use, the powder tends to over-dispense onto the built-in brush so there is a lot of wastage. Between that and the fact that powder tends to get all over the container no matter how careful you are, this is a tough sell. Eminence contains a combination of natural sunscreens and yet is totally smooth, transparent, fine and natural-looking. Skin-balancing, it blends perfectly and leaves no chalky residue. Available in several shades, you can swipe it on bare skin or on top of your makeup to provide sheer, long lasting protection that can easily be reapplied throughout the day. 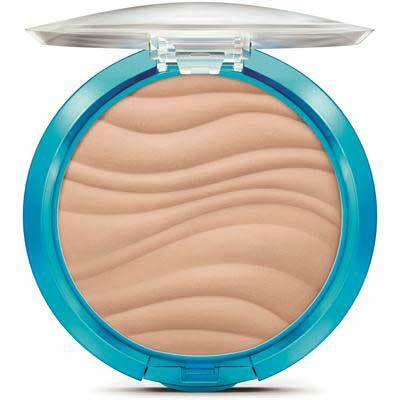 Perfect for UV-sensitive complexions. comes with a modified kabuki-inspired brush that makes application super-easy and totally streak-free. Made with ultra-fine mineral pigments, this powder foundation applies evenly and blends easily to give a natural-looking complexion with a glowy finish. Available in 12 shades, it provides coverage that can be built up from sheer-to-moderate, while also concealing dark spots and blemishes. Toss it in your tote and don’t look back! Do you use a mineral or powder SPF? What’s your go-to brand? « Heads up: Orange juice will give you a bad hair day! A good cheap one is new from E.L.F. SPF 45 for powder sunscreen. I like it. Oh really Miki ? Is it still available at Walmart or Target?